What Is Melt and Pour Soap? If you're a soap-making newbie, I've got the perfect method for you -- melt and pour. It really is as easy as it sounds, but that doesn't mean you can't make stunning soap bars in any shape and color imaginable. 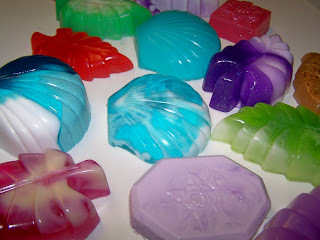 Melt and pour soap was the first soap-making method I ever tried. I was determined to make my own soap, but honestly, the cold process soap-making method scared the daylights out of me. (It was using lye that made me nervous. I have since overcome that fear.) Still, the melt and pour method is one I use regularly. 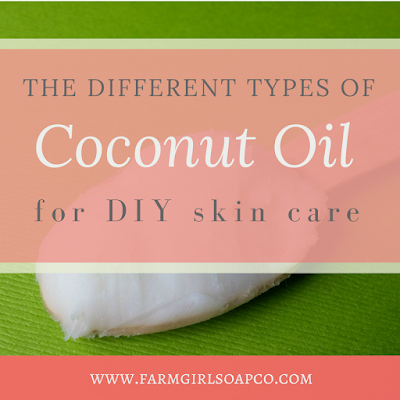 Here's why I love it: it's simple, you don't need any special tools, and the soap bars are ready to use within a few hours. Once you try it, I know you'll love it too! There are several different ways to make soap. 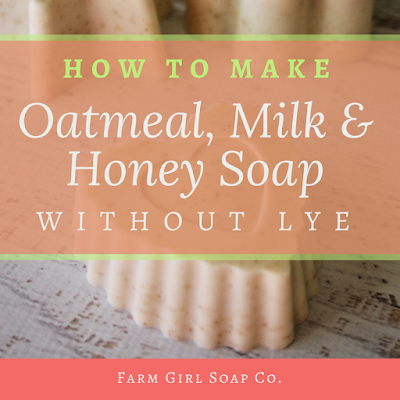 The melt and pour method is the simplest, so it's perfect for those just starting out in soap making. With melt and pour soap, you start off with a soap base. These bases are generally unscented, clear or opaque white. Any big craft store will sell the soap base typically at a price of $10 for 2 pounds of soap. Once you have your soap home, just cut it into chunks, place in a pot or double boiler (or even in a microwave safe bowl). Heat on low until just melted, add your choice of fragrance, colors, herbs, etc. and pour into your mold. In just a few hours, your soap is ready to unmold and use. Once you get the basics down, you can try different techniques. For ideas, I really like The Everything Soapmaking Book by Alicia Grosso, and also the About.com Soap and Candle Making site.